Losing weight and gaining muscles are no easy tasks. There’s a lot involved such as proper nutrition and effective workouts. Arguably, it would be easy to go out and exercise, but what’s hard is to find the proper food that keeps one full for hours. Experts say that eating a heavy protein diet is the key. Fortunately, there is plenty of high-protein food on the market such as protein bars. And if you are in search of the best protein bars, then here are three products you may want to consider. Pure Protein, as its name suggests, is a maker of protein products. This company produces protein bars and snacks, powder, and drinks. 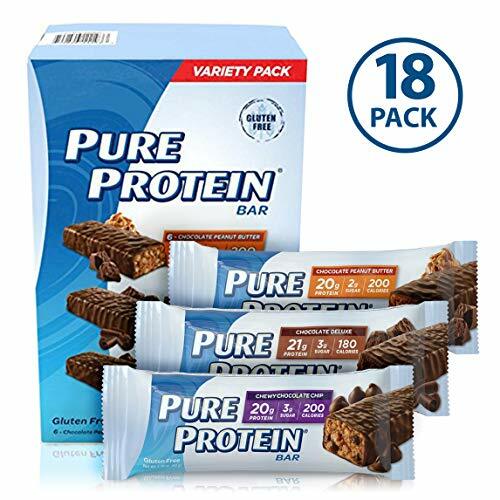 The Pure Protein Bar promises to be a great-tasting snack that is also of high quality. It comes in different flavors, namely Chocolate Deluxe, Chewy Chocolate Chip and Chocolate Peanut Butter--each of which offers a wonderful gastronomic experience. Each bar also claims to be loaded with 20 grams of protein, which is sure to fuel one’s body. These gluten-free bars promise to be the go-to snack both pre or post workouts. The product is made from whey protein, which is a high-quality protein derived from milk. It also has the essential amino acids the body requires to support and strengthen lean muscles. Moreover, the sugar content per serving is just two grams, and the chocolate peanut butter and chocolate chip flavors have 200 calories while the chocolate deluxe has 180 calories. Each box contains a total of 18 pure protein bars with six bars per flavor. ONE Brands was formerly the Oh Yeah! Nutrition, which was founded by Ron McAfee in 1999. ONE claims to be a pioneer in the high-protein snack bar category. The company presently manufactures protein bars in two categories, the ONE bars and the ONE basic. It claims that all of its protein bars have 200 grams of protein and only contains one gram of sugar. The ONE Protein Bar promises to be a snack that’s packed with protein but low in sugar. It also claims to be a great-tasting snack with its birthday cake flavor. This protein bar contains 20 grams of protein per pack and is gluten-free. It also has a low sugar content of only one gram per pack, 22 grams of carbohydrates and five grams of saturated fats. The total calories per bar are 210. Its protein blend consists of Whey Protein Isolate, Milk Protein and Isolate. It also contains a blend of vegetable oil consisting of Palm and Palm Kernel. Other ingredients of the product include Isomalto-Oligosaccharides, Vegetable Glycerin, Sunflower Seed Butter, Maltitol, Palm Kernel Oil Natural Flavors, Sea Salt, Confectioner’s Sprinkles, Nonfat Dry Milk, Soy Lecithin, Sugar, Corn Starch, Soy Lecithin, Confectioner’s Glaze, Colored with Fruit and Vegetable Concentrates, Dextrin, Carnauba Wax, Distilled Monoglycerides, Sodium Bicarbonate, Tapioca Starch, Sucralose, Calcium Carbonate and Sucralose. Each box contains 12 protein-packed bars. The FDA has not evaluated dietary supplement statements. Quest Nutrition is a manufacturer of high-protein snacks. Its products range from thin crust pizza, hero bars, protein cookies, protein bars, protein powders, and chips. The Quest Nutrition Vanilla Caramel Hero Protein Bar claims to be a high-protein and low-carbohydrate snack that is also great-tasting. This protein bar features a white chocolate vanilla sweet coating with real almonds. It also has gooey caramel core with a chewy Beyond Cereal Bar. The product does not have gluten and contains 16 grams of protein, four grams of net carbs, 12 grams of sugar, nine grams of fat, and 10 grams of dietary fiber. One bar has 180 calories. This bar uses natural and low-calorie sugar substitutes, namely Allulose, Erythritol, and Sucralose. Allulose is a new sweetener on the market that is sourced from figs, maple syrup and raisins. It tastes a lot like sugar but with fewer calories. The complete ingredients of this bar are Soluble Corn Fiber, Allulose, Palm Kernel Oil, Erythritol, Almonds, Water, Butter, and Natural Flavors. It also has Sea Salt, Cellulose Gum, Xanthan Gum, Baking Soda, Palm Oil, Carrageenan, Sunflower Lecithin, and Sucralose. The protein blend consists of Milk Protein Isolate and Whey Protein Isolate. Each box contains ten delicious and protein-packed bars. Other flavors are also available such as Blueberry Cobbler and Chocolate Caramel Pecan. They also have a variety pack of 12 protein bars, two bars of each flavor, in case you want to taste all flavors in one purchase. There are many protein-heavy products on the market including protein bars. But which of them contain high levels of protein that can help in one’s weight and fitness goals? The three products of this review claim to be some of the best protein bars on the market, but which of them really is? All three products almost have the same protein content except that Quest Nutrition Vanilla Caramel Hero Protein Bar only has 16 grams while the two others have 20. The Pure Protein Bar contains a high percentage of saturated fats and net carbs. Likewise, the ONE Protein Bar also packs high carbs of 22 grams and saturated fats of 22 grams. These ingredients, unfortunately, are not for those trying to lose weight and wanting to grow muscles. But these are definitely for those with a sweet tooth and just want to enjoy a good-tasting snack! 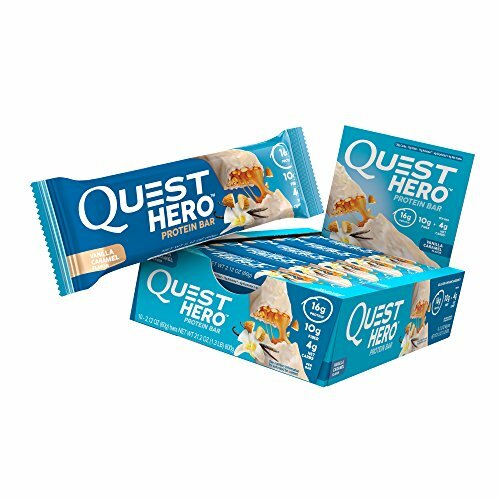 This leaves the Quest Nutrition Vanilla Caramel Hero Protein Bar as the best of the three with only four grams of net carbs, despite its higher sugar content.